Course Objective - Support participants in their efforts to create a collaborative, cooperative and committed team environment. Provide an understanding of and strategies for selling the team and positioning the team as a product and a key differentiator. How did the most successful financial institution in the history of the industry become the most successful financial institution in the history of the industry? They worked together seamlessly while collaborating on client ideas. Also, they became incredibly skilled in the discipline of team selling. In essence, they mastered the art of selling the people on their team as their most valuable product. The best of the best understand that clients appreciate a team approach and team camaraderie. They understand that clients view deep and well connected teams to be a value add for their own family or organization. Knowing, working with and selling your team sends a message of unity and commitment. 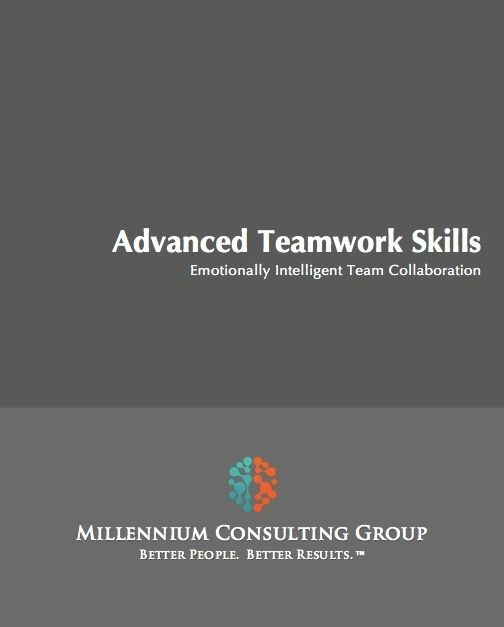 Most clients want to be serviced by a team led by an individual and not a "lone ranger" with little regard for his/her team and organization.